The holidays are drawing to a close. We will still celebrate Twelfth Night but for most people Monday is the "back to business as usual" day. 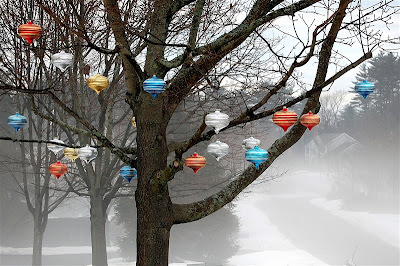 I keep the decorations and lights up for several more weeks just to brighten up the dark New England winter. We actually had incredibly mild temperatures this weekend. The snow is melting and today we had lots of foggy spots around town. The photo above is a view of our street from the front yard. Today we had a get together with most of the members of my husband's a cappella singing group. Fran, our hostess, made these incredible decorated cookies and since I had my camera along to take pictures of the fog I just had to take a few pictures of the cookies as well! There were all sorts of designs and I was amazed at the tiny details on some of the cookies so I asked how she did it. Maybe some of you already know about these, but it was news to me to find out that you can buy markers with food coloring that have tips of varying thicknesses. 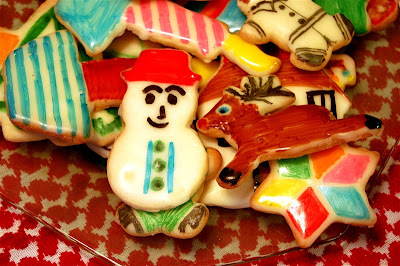 She frosts the cookies with royal icing and lets it dry and then goes to town making creative details with her family and friends. 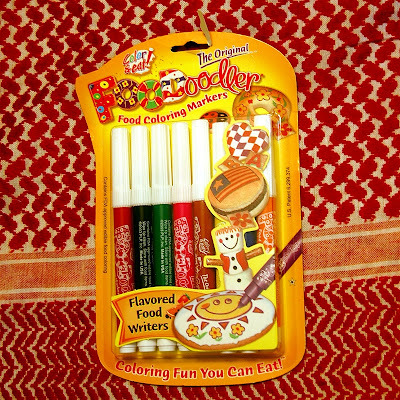 One of the types of markers she uses is called "FooDoodlers" and they can be found at a shop here in town (I think I'll be heading there tomorrow!). Here is a LINK to their website. They even sell cookies with printed designs ready to be colored. She also got some markers at the King Arthur Flour Company. I have been to their headquarters in Vermont and it is an amazing place. Here is a LINK to their website which has all sorts of wonderful products and recipes. This hasn't turned into a baking blog(!) - I just wanted to share this discovery and I think I may have an idea of another way to use these markers...if it works, I'll post it soon. Speaking of markers, there are still a couple of days left to leave a comment to be included for a chance to win a set of 12 ProMarkers from LetraSet - I used these markers for this card that I posted last week. All of the details are in that post if you are just getting back from holiday travels and are catching up on your blog reading. I also want to let you know that my "evil twin" Okie will be showing some projects she did with the markers and she also has a set to give away so you will have another chance to enter on Okie's Blog. She will be drawing at the end of the week. 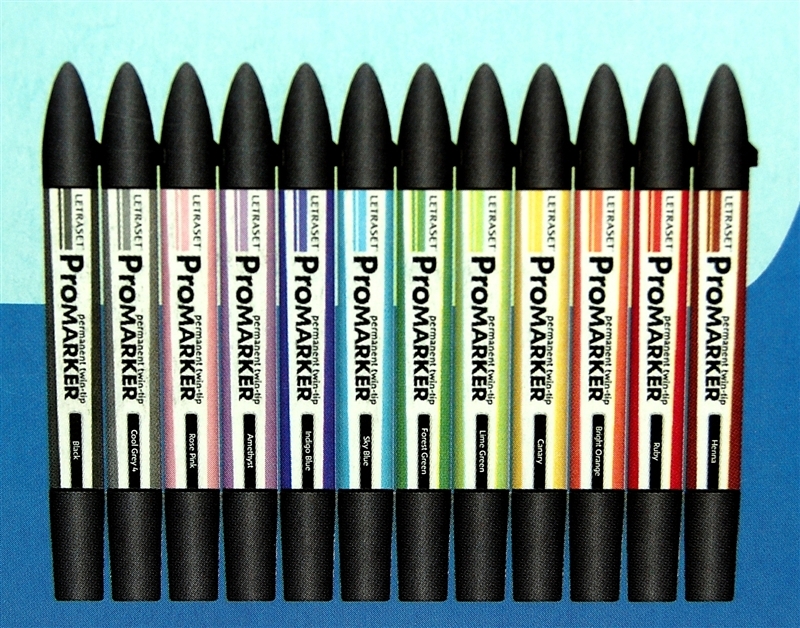 If you want to be included in the random draw for the set of ProMarkers from Letraset please be sure to leave your comment on the original post at THIS LINK. These are the only comments that will be included - one comment per person please. One More Note: I am sorry about the problem with my download links. I am very frustrated with 4shared. There was a totally unfounded report of copyright violation by IFPI - an entity that monitors music downloads. My account is frozen until I can get the IFPI to reply to my email and admit that there is no infringement. The only files I share are my personal work to which I hold the copyright and there has never even been any sort of music file in my account. The file they lodged the complaint about is the one titled "CAPADIA Double Stairstep Happy Happy PS.gypsy" that I shared last week for gypsy users who wanted to make this card. My only guess is that somehow those words are similar to a song title and a computer program spit out a report which was acted upon with no logical human person taking the time to check the file. This is making me rethink the way I share files and there will probably be some changes so I appreciate your patience. I hope that an actual person will respond to my email once people are back to work tomorrow. On a much more positive and exciting note - I see that the hit counter is less than 4,000 away from 1,000,000! When I started this blog to share my Design Studio files I never imagined that so many people would visit on a regular basis. It has been fun to get to know many people that I would never have crossed paths with otherwise and I am amazed at the connections that are formed through the internet. I am planning to have a celebration to mark this milestone so watch for more details coming soon. 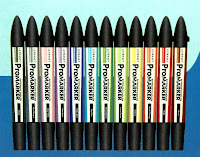 I never heard of these markers but that is so cool. I will have to check into this and get some. Happy New Year! 1,000,000! Wow, congratulations in advance. Now on to 2 mil. one million...wow!!! Congrats. I am one of those hits that will make it 2 mil. LOL!!! I have never seen those markers either. You are the very first blog I saw after purchasing my Cricut and Design Studio this past summer and I have been visiting you every day since. I love your work and your helpfulness. Thank you for all you do to help and inspire us. I am sorry to hear you had trouble with the update. With the latest version of Design Studio the automatic right return when you reach the end of the mat was eliminated. This was done because people had complained that they couldn't get all of the letters or items they wanted into one selection box. It takes a little getting used to but you should just be sure to slowly double click on the top left of your mat before you start to enter letters or shapes. If you have put some things on the mat already and are starting a new group just be sure to click on the mat so you see the blue cursor before your begin. If you can't see anything and you haven't clicked anywhere else yet you can change the X value in the shape properties box to a number less than 12 and the items should appear on your screen. Let me know if any of this is confusing to you - it did take me a while to get used to it. As far as the list of your cartridges under "My cartridges" you do have to reenter them when you do a full program update. I know it is a bit time consuming so I usually only do it as busy work in front of the TV - it helps me to think about all of the cartridges I own (waay too many!). I wish there was a way the list could be saved but at this time it is not. Foodoodlers are awesome! TFS. Love your blog! 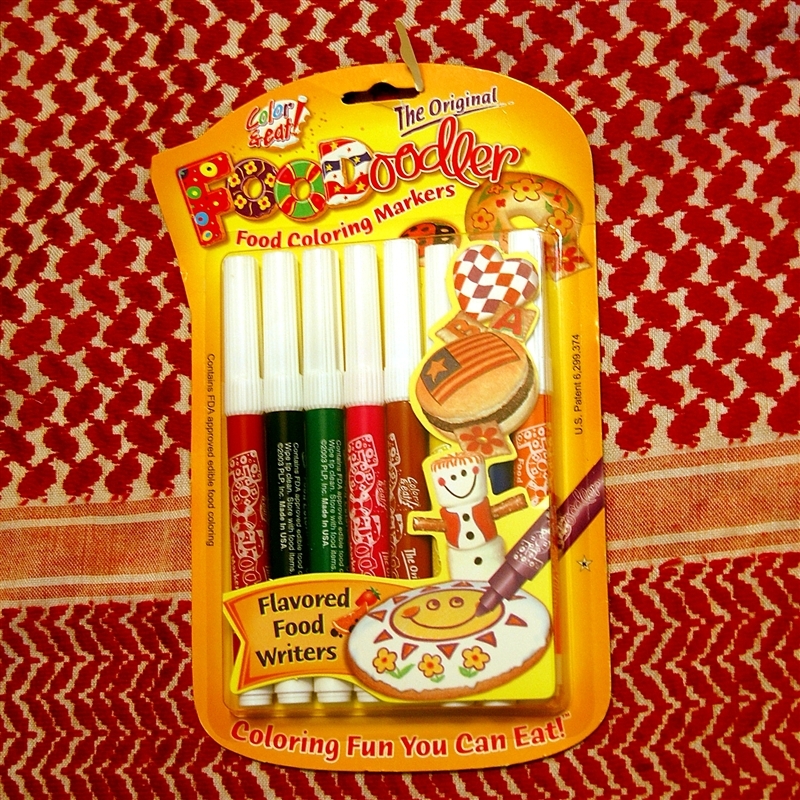 The Foodoodlers sound like so much fun. Congrats to all the hits on your blog. I always check out your posts because you explain things so great. I have learned so much from you and am looking forward to each and every post to come. I am brand new to your blog. 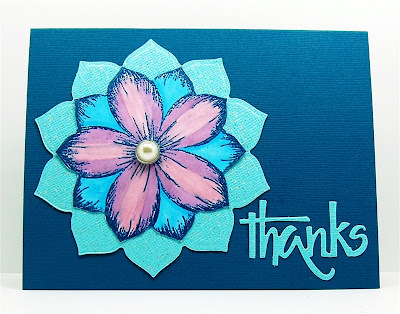 Got the link from Joy with Obsessed with Scrapbooking. I love that picture you posted with the foggy background. Great photography job! 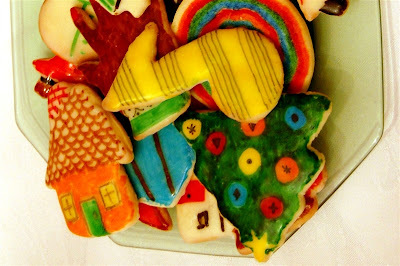 Oh and would you please pass the plate of cookies? Diane, I'm so excited to see the food markers - my head started spinning. Are they short enough to put in the Cricut? 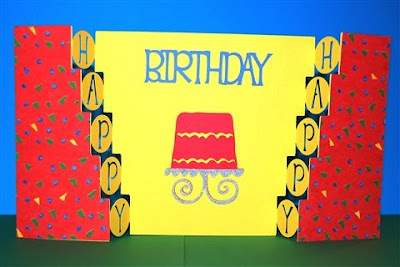 OMG, can you imagine what you can make with the food markers AND the Cricut? Congratulations on almost reaching 1M visitors.